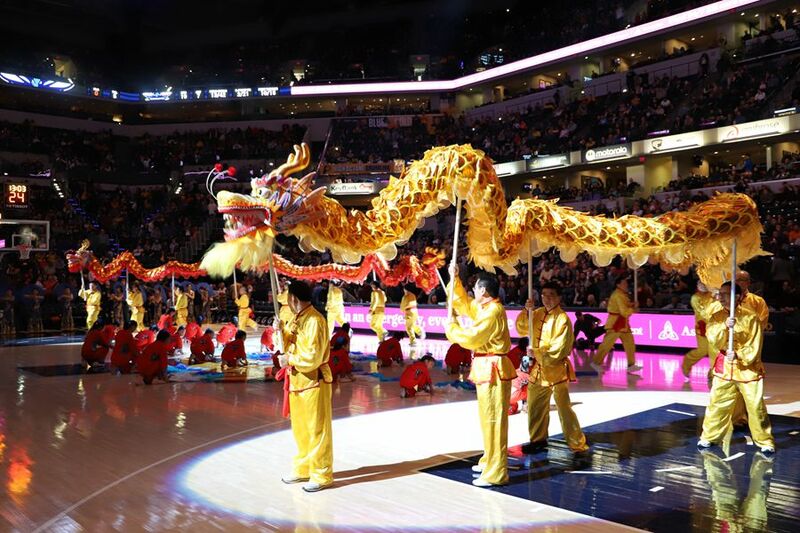 On February 11th, 2019 (the seventh day of the first month of the lunar calendar), the Indiana Pacers held their first ever "Happy Chinese New Year" home game. 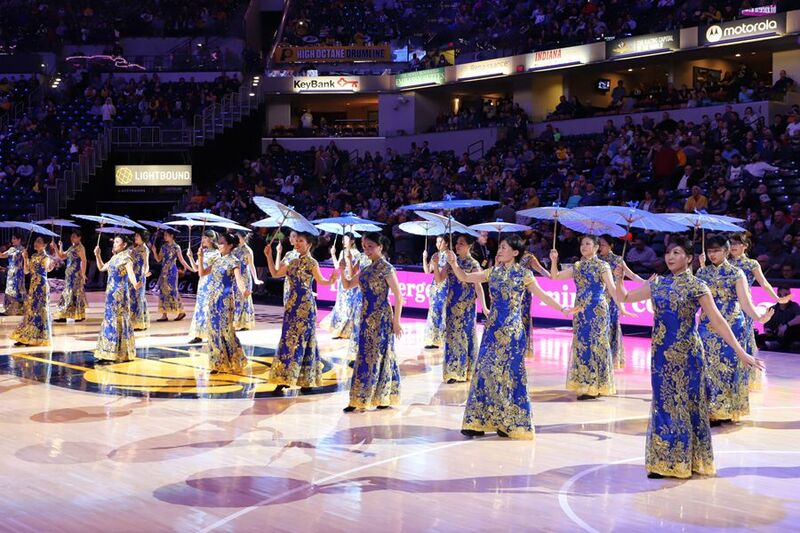 Acting Consul General Liu Jun, Vice Chairman Jim Morris of Pacers Sports and Entertainment, and nearly 20,000 fans attended the game and enjoyed an exciting night of basketball and artistic performances put on by local Chinese arts groups. Tencent Sports broadcast the game. That night, the Indiana Pacers played against the Charlotte Hornets at the Bankers Life Fieldhouse. 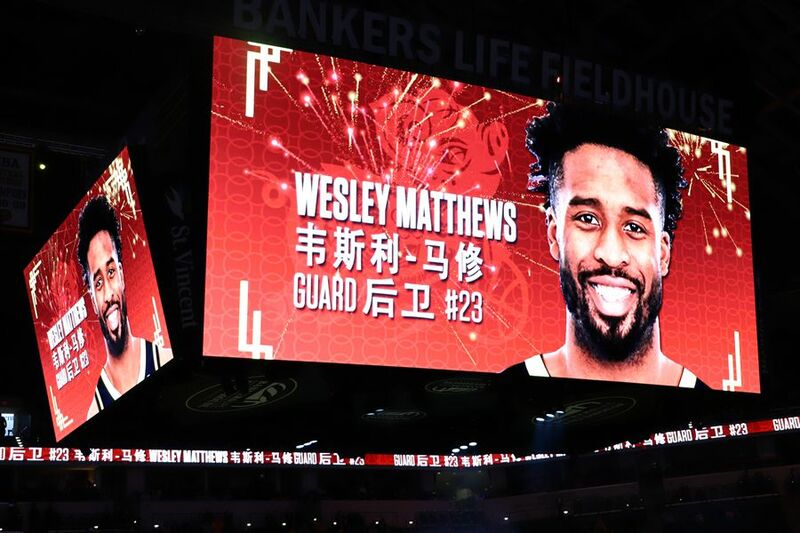 The large screen in the center of the stadium, with a Chinese-themed, cartoonified pig taking up the background, displayed the message “Chinese New Year Celebration” in both Chinese and English, and introduced, one by one, the opening players of the game with both their English and Chinese names. Before the game began, well-known young soprano of Chinese descent, Ms. Liu Xiaodi, sang the American national anthem, bringing the crowd to booming applause. 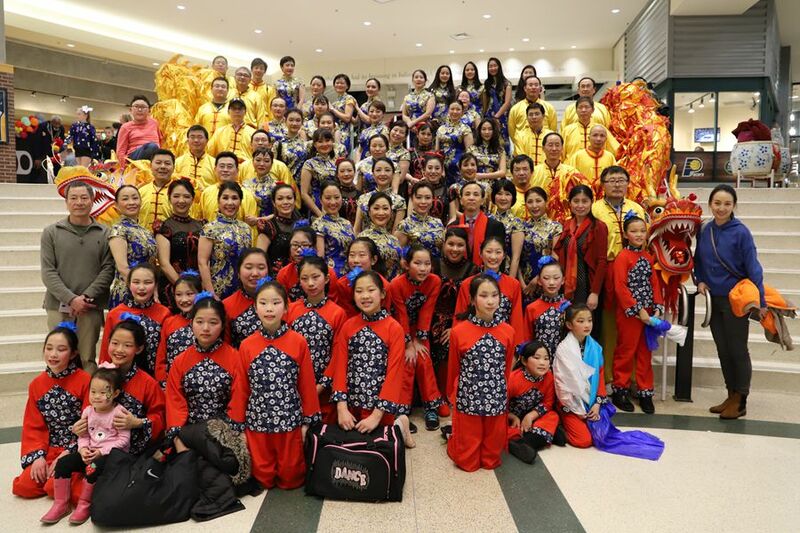 During intermission, local organizations such as the Carmel-Xiangyang Sister City Committee and the Indianapolis Chinese Community Center put on fabulous Chinese cultural performances. Then suddenly, two flying dragons, one red and the other gold, swept into the stadium from either end of the court, twisting and roiling with bellies full of fire. 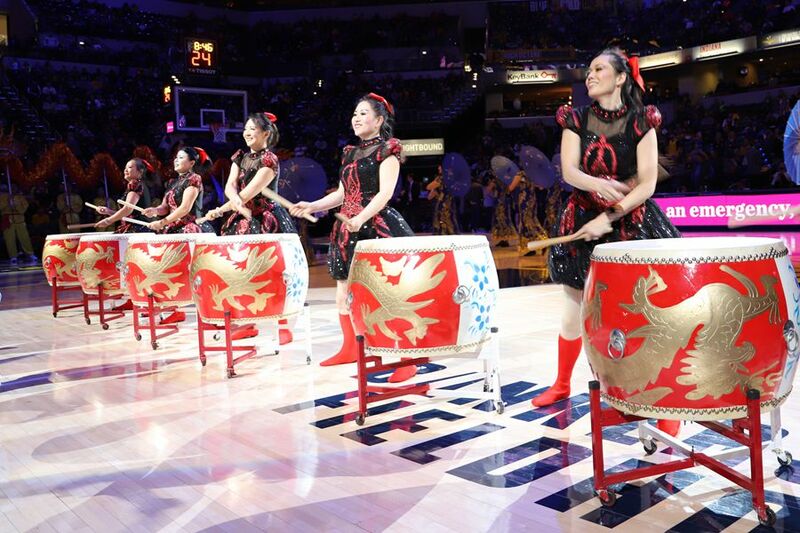 After their exit, the court was graced by a colorful silk dance, cheongsam display, and an all-women percussion ensemble performance, the ensuing elegance in sight and force in sound leaving the crowd sensually satisfied—many jumped out of their seats and shook the stadium with an ear-shattering standing ovation. 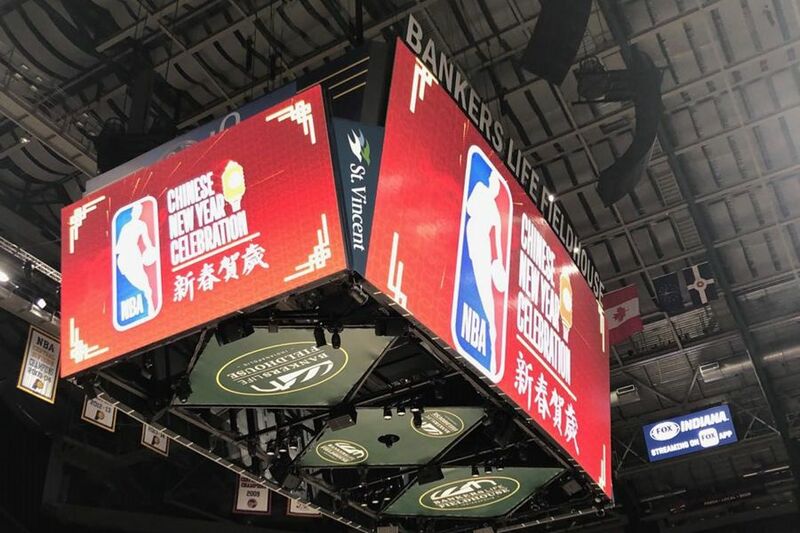 After intermission, Acting Consul General Liu Jun and Vice Chairman Morris walked onto the center of the court to greet the crowd and exchange New Year gifts among themselves. During the game, Acting Consul General Liu Jun met and talked with Vice Chairman Morris. He remarked that the Pacers is a well-known NBA team. In 2013, they traveled to China to participate in a NBA tournament, bringing a lot of fans to the stadium. 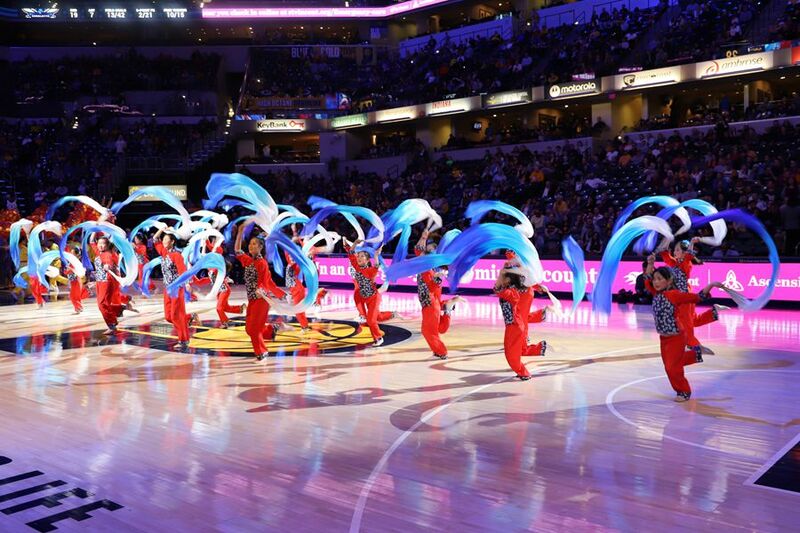 China and Indiana frequently conduct cultural exchanges, this "Happy Chinese New Year" game, the first of its kind in Indiana, will undoubtedly encourage further cultural and athletic exchanges and cooperation, as well as enhance mutual understanding, between the people of China and Indiana. 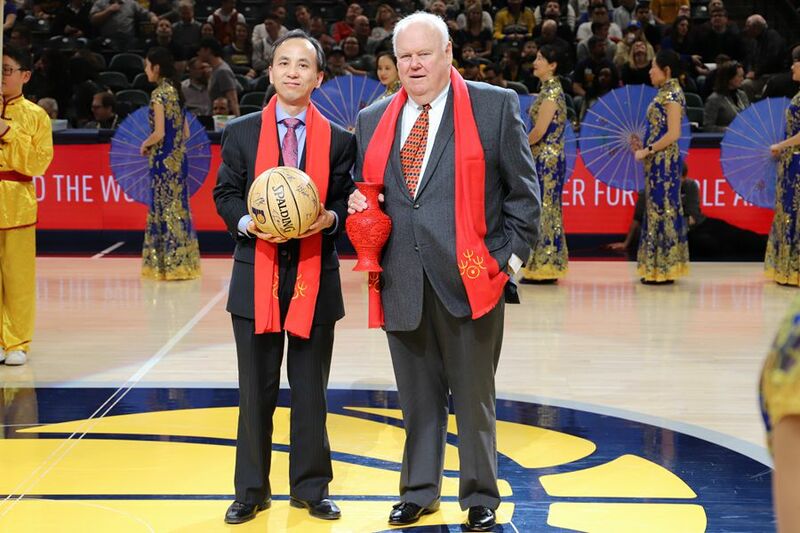 Chairman Morris reiterated that this was the first time the Pacers teamed up with the local Chinese community to hold the "Happy Chinese New Year" game. He thought the performances were highly engaging and brought an authentic sense of the New Year to the Pacers’ home court. Shedding no small amount of sweat and force, and with the energizing pump and cheer of the crowd, the Pacers beat the Hornets 99 to 90, keeping third place in the Eastern Division.